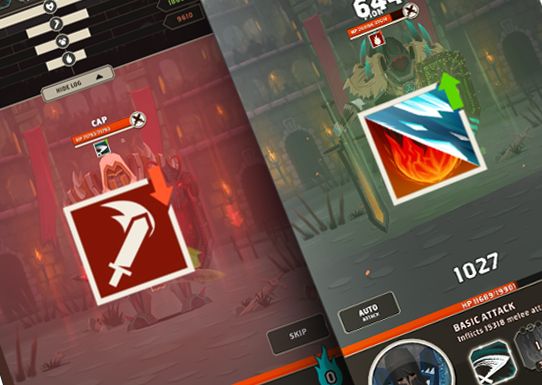 Combat is now easier to read and understand; thanks to new, rebuilt battle log, that accurately shows each action in every turn. It is also helpful to analyse battle after using “Skip”. Health bars, visible in every round, make it exceptionally easy to understand what and when, happened. 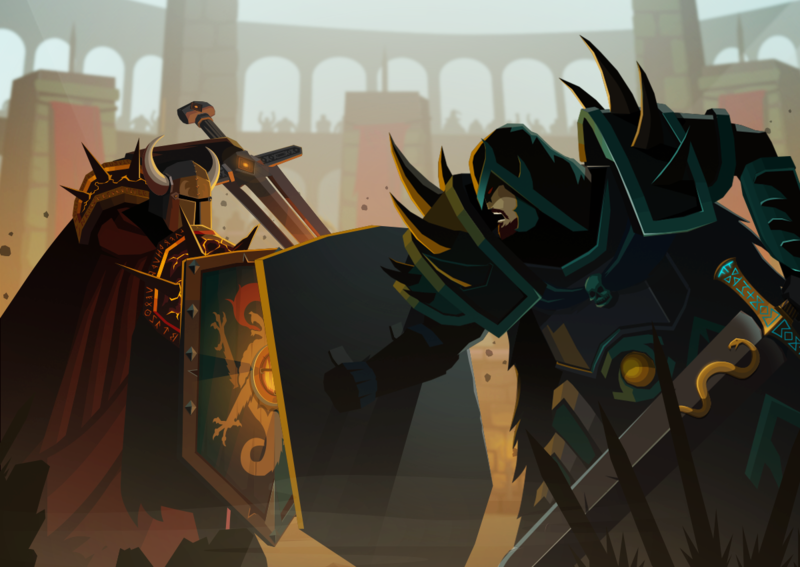 This change makes understanding combat easier, so that players can plan their gear and character development to defeat every opponent. All weapon skills have been replaced in order to make them more exciting during gameplay. They are less random now, but at the same time more in synergy with character’s statistics. Previous skills were often very random and one activation could end the battle. Also not all of them were useful in the Arena. Now all legendary skills can become active during PvP combat. New skills have also new activation mechanics – now you will be able to influence when or how long some skills is active (eg. skill that works when you are below given percentage of max HP – delay that heal and use the skill!). Also most of the effects work after the defender’s defense, so the changes in damage are not as spectacular, and therefore will not overshadow your hard-earned character’s development. New skills are also designed to be more useful in given situations, in contrast to one skill useful in every possible battle (eg. some will perform better in the Arena or even against specific player, and the other in the Campaign). Now choosing your weapons can be way more tactical! Activation of all effects on Main Hand and Off Hand Skills is now visible. Thanks to this, players will know when their hero have used a skill, and more importantly: when the opponent activated one. Skills information also appears in the battle log. Changed AP points requirements for Spells: Regeneration costs 3 (use to be 5), Cooldown 5. Main Hand and Off Hand bonuses had been removed; players can now easily change those without losing the bonus. This improvement makes it easier for players to choose weapons regarding a specific opponent or just to progress further in the game. Removing bonus links makes this easier and does not require any changes in collections; players can now quickly swap weapons before the fight. Statistics of bonus links in gear have been changed. Now each gear has bonus links for magic-defense or attack-defense. This way the player has two clear paths of development. Attack and Defense slightly changed compared to the previous version. Magic has been, in most cases, increased; and some pieces of gear are more affected than others. Health in gear pieces has been reduced, but at the same time, it has been increased in Orbs. Orbs now have more Health. 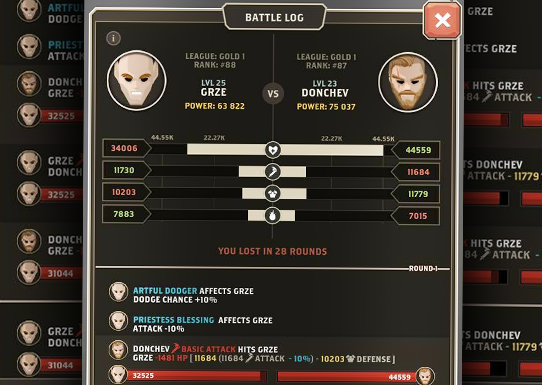 The base value of Orb statistics has also changed, now it is directly linked to their potential. We have unified the base Orb value by the potential, so that only the potential determinates their statistics. This makes comparing and choosing Orbs much easier. The value of Critical Hit is now added to damage AFTER subtracting defense. No more losing just because of bad luck! After current changes, Critical Hit will be much more in scale with the build – if you have big attack advantage over the opponent’s defense, your Crits will be more powerful. If you can not even scratch him – sorry, but no Crits for you! Critical has been removed from Spells. Criticals with Fireball were heavily overpowered and could instantly win the battle. Removing this random element from battle made competition much more dependent on character’s development and skill, not just luck. Restoration – restores health that equals 0,7x of magic. You can also find these descriptions under the information button “i” in the battle log window.